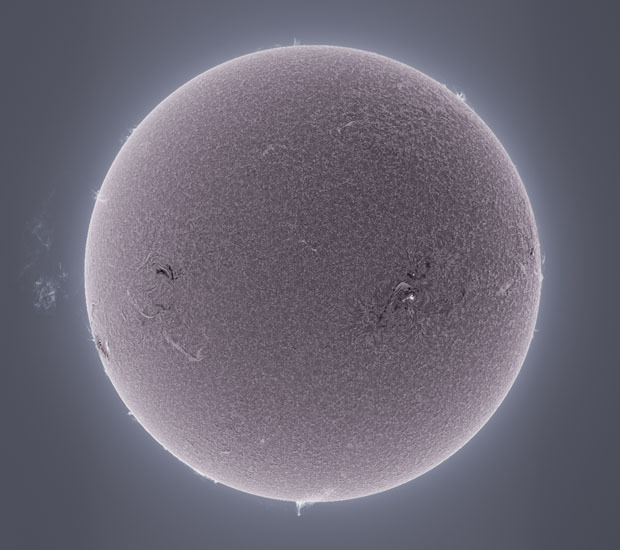 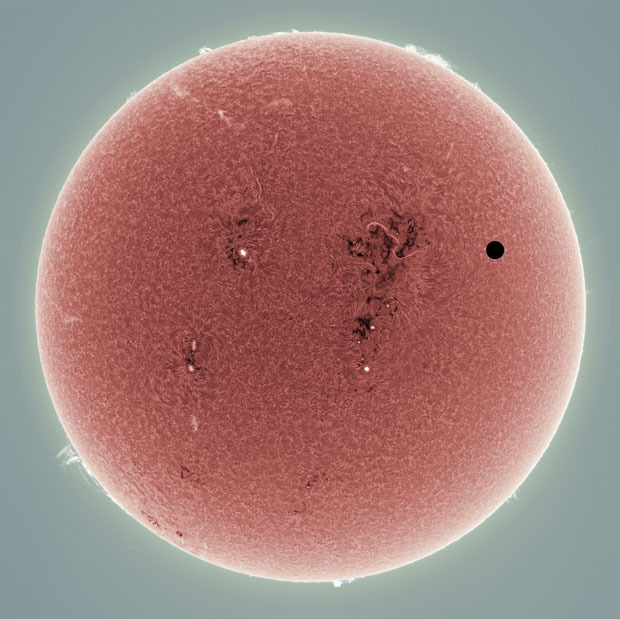 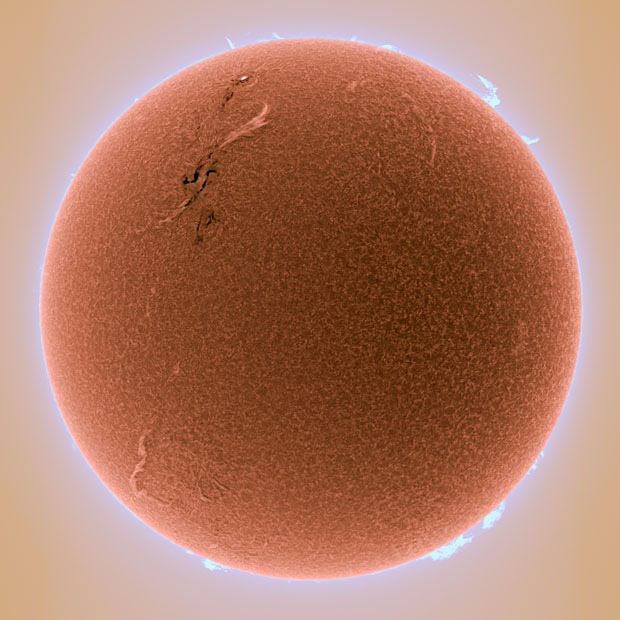 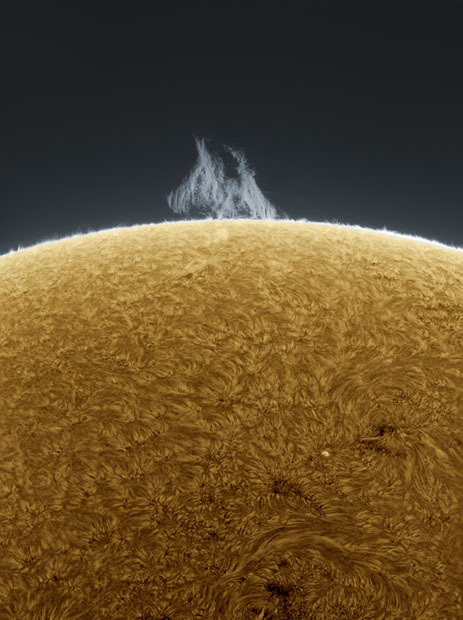 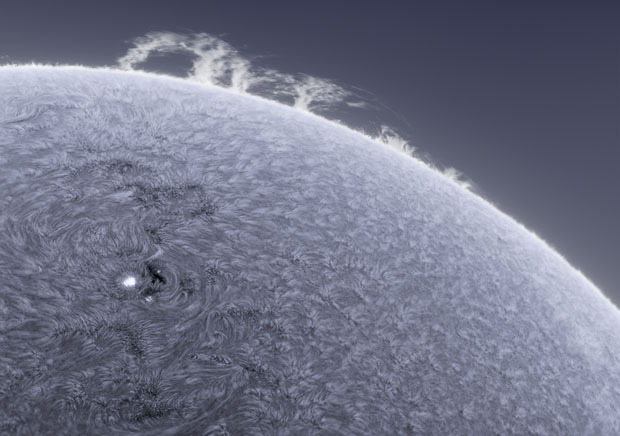 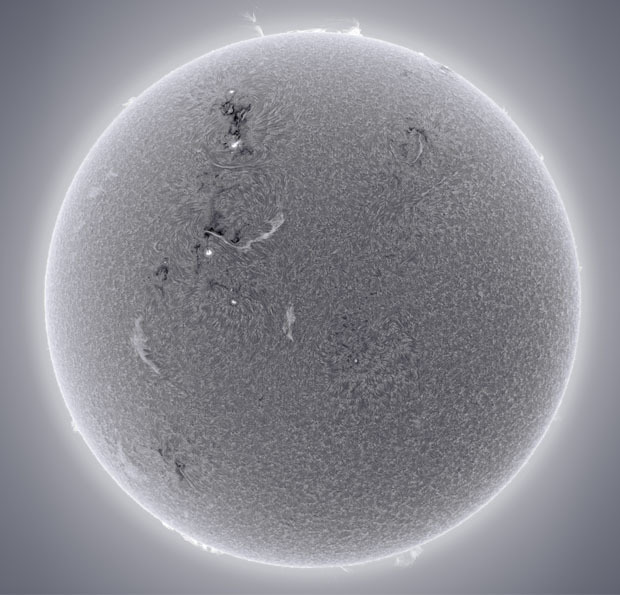 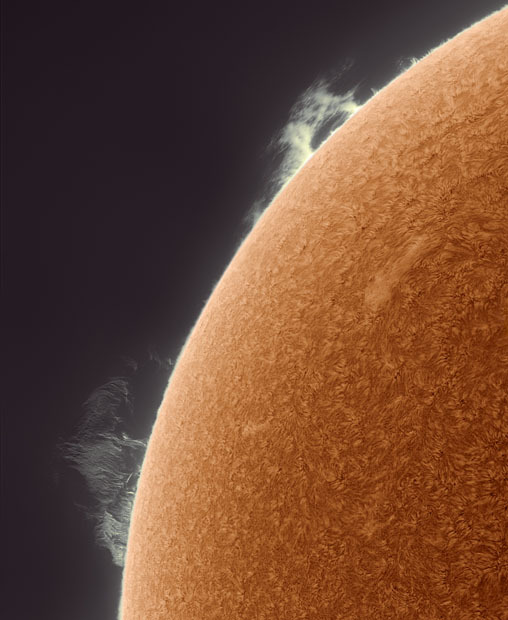 Alan Friedman of Buffalo, New York is an amateur astrophotography enthusiast who captures amazing photographs of the Sun through a telescope in his backyard. 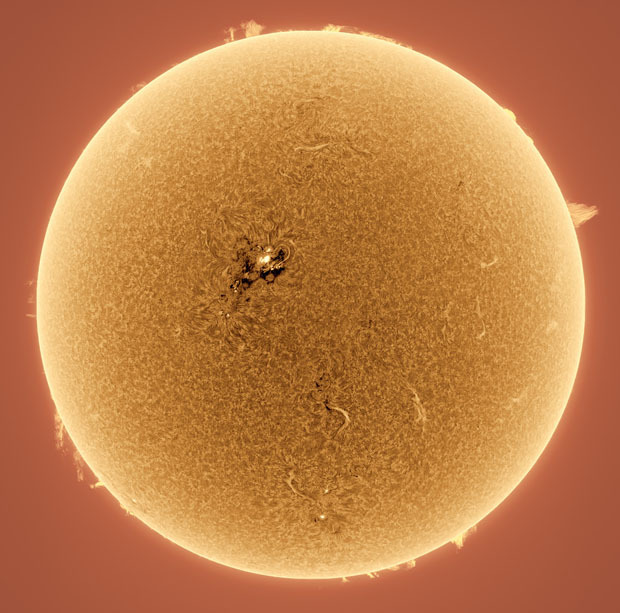 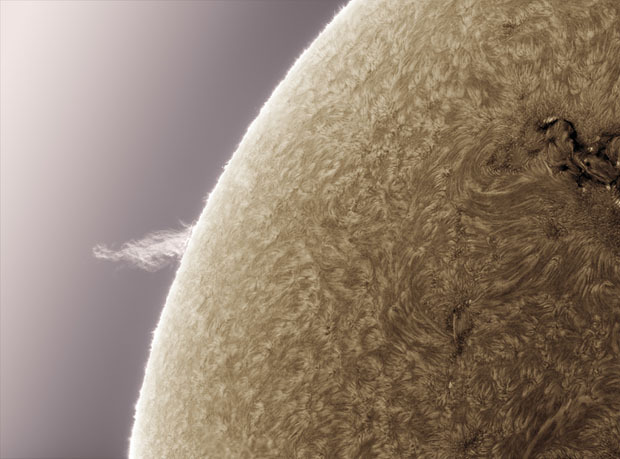 His highly detailed photographs show the sun in ways you never see with your naked eye. 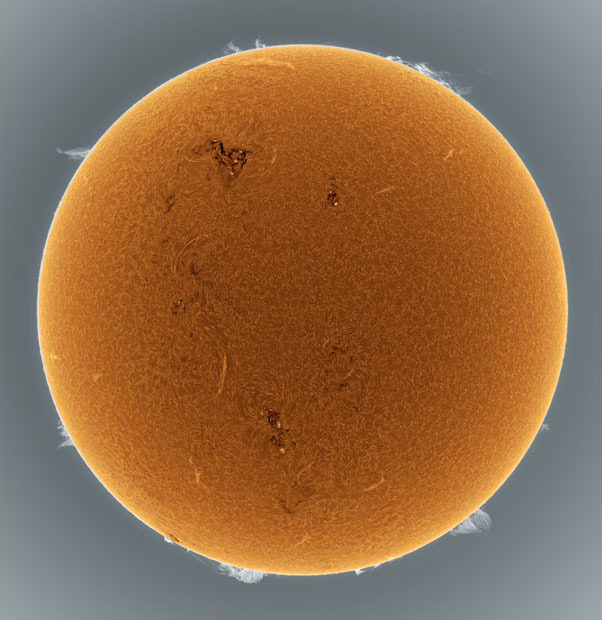 Using special filters that allow the photos to be captured without destroying his camera or his eyes, Friedman creates images of our life-giving star that look more like something you might see under a microscope. 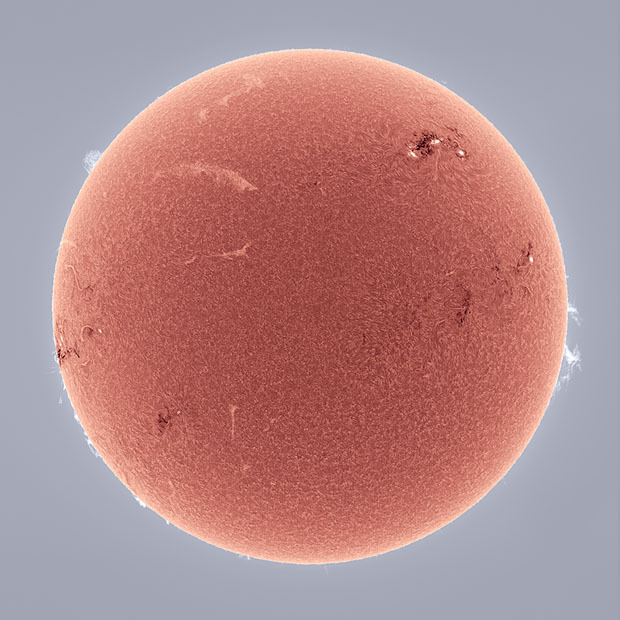 Friedman says that the filter (called a Hydrogen Alpha filter) he uses blocks everything but a very narrow slice of the deep red end of the visible spectrum. 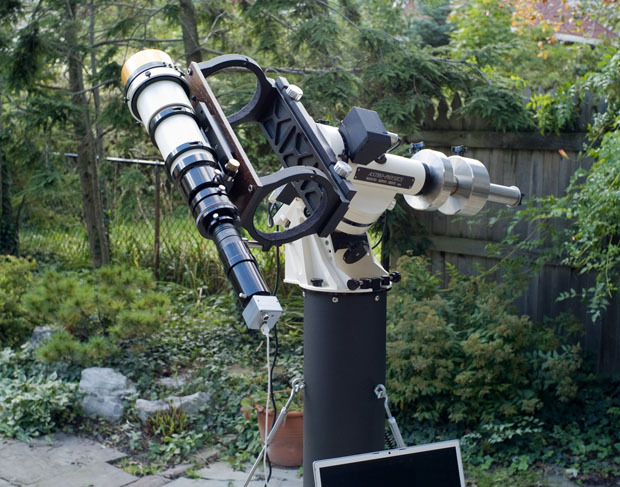 After attaching the filter to the front of his 3 1/2-inch telescope (the equivalent of a 450mm f/5 telephoto lens), he uses an industrial webcam to capture the photos. 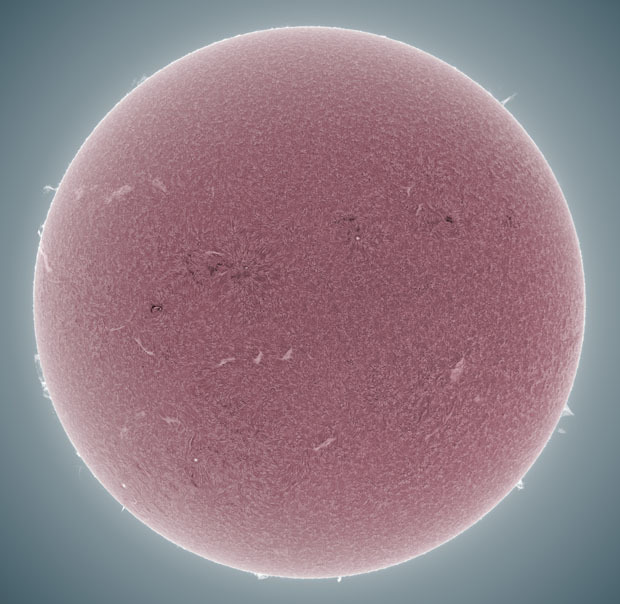 The camera can capture images at 15fps to 120fps.